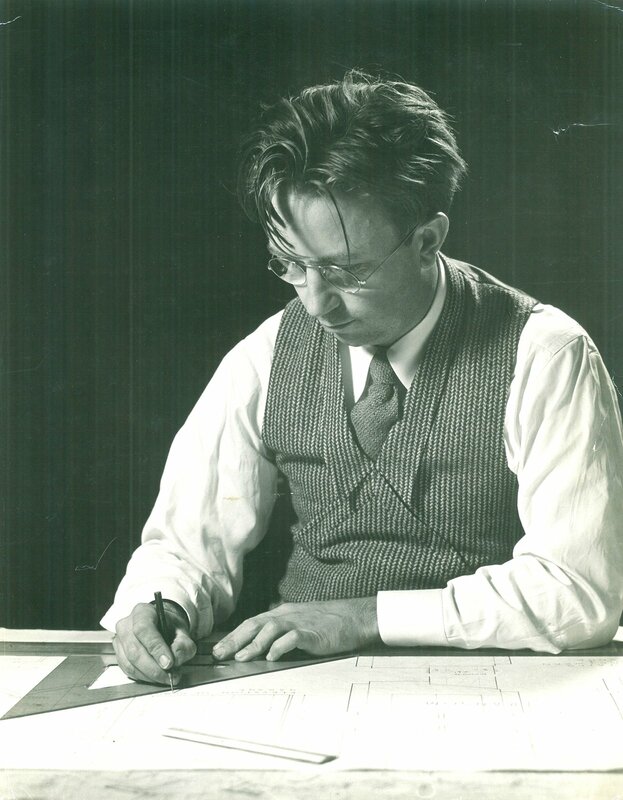 Alden B. Dow works at his drafting table in 1937, the year he wins the Diplome de Grand Prix for residential architecture at the Paris International Exposition. The fifth of Herbert and Grace Dow's seven children, Alden graduated from Midland High School and studied chemical and mechanical engineering at the University of Michigan before leaving for the Columbia University School of Architecture. In 1933, he spent a summer as a Taliesin Fellow under the tutelage of Frank Lloyd Wright, with whom he struck up a lifelong friendship.